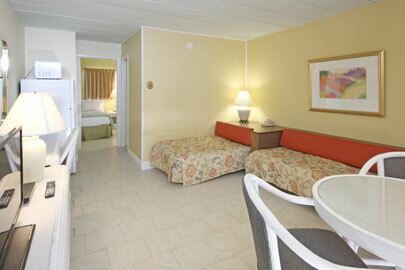 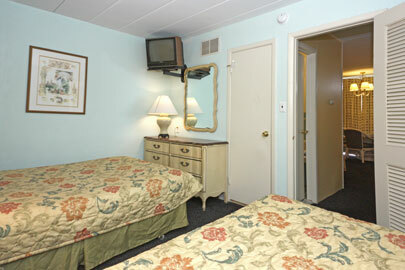 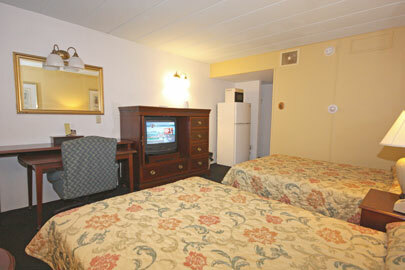 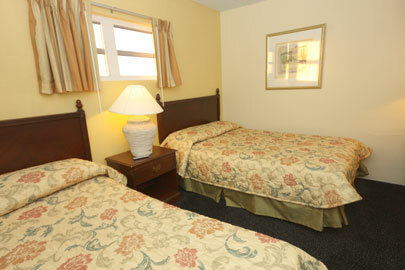 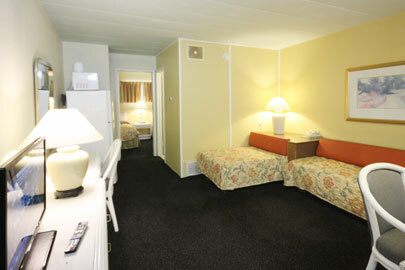 The Large Motel Room is equipped with two full-size beds, apartment size refrigerator, microwave, and a 49" LED HDTV. 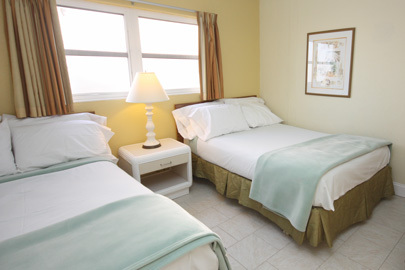 The One Bedroom Suite features a private bedroom with two full-size beds and a living area with two single-size duo-beds (it's a sofa by day and two beds by night). 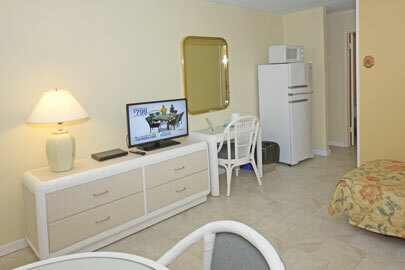 The unit is also equipped with an apartment size refrigerator, a microwave, a 49" LED HDTV in the living area, and a 32" LED HDTV in the private bedroom. 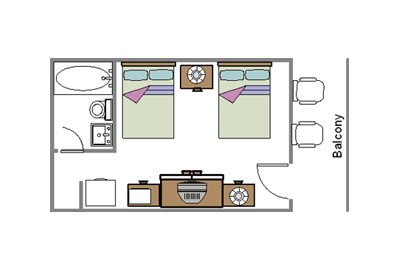 The One Bedroom Suite features a private bedroom with two full-size beds and a living area with one full-size duo-bes (it's a sofa by day and a bed by night). 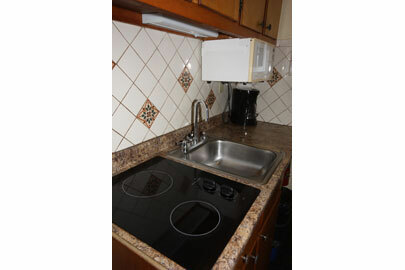 The cooking area includes a two-burner smoothtop cooktop, apartment size refrigerator, microwave, and is fully stocked with cookware, tableware, and utensils. 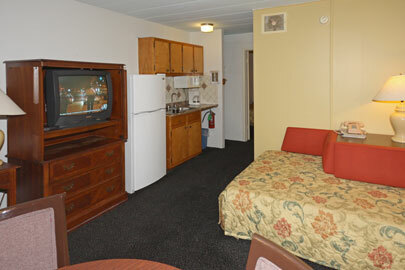 This unit is also equipped with a 49" LED HDTV in the living area, and a 32" LED HDTV in the private bedroom. 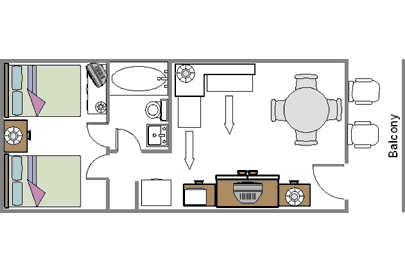 The Premium One Bedroom Suite features a private bedroom with two full-size beds and a living area with two single-size duo-beds (it's a sofa by day and two beds by night). The unit is also equipped with a premium linens in the private bedroom, tile floors thoughout, an apartment size refrigerator, a microwave, 49" LED HDTV with a Blu-ray player in the living area, and a 32" LED HDTV in the private bedroom.